This year saw us re-thinking our sleeping arrangements while traveling. In the past we would sleep in a tent when the weather was warmer, or if we were going to utilize a camp spot for several days. 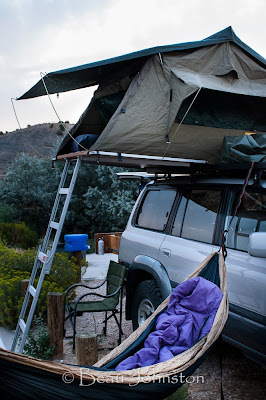 We would typically sleep in our 4Runner when the weather was cooler, or if each night saw a new camping location. While this has worked well for us, we began looking at ways to reduce the volume of gear we take on trips. Tents tend to be bulky and sleeping in our 4Runner on hot summer days has proved to be uncomfortable at times. We chose to begin experimenting with hammock camping and I must say that I am sold. Not only does the hammock keep us nice and cool on hot summer nights, two single-person hammocks take up less space than our two-person backpacking tent. We have been using the Eagles Nest Outfitters (ENO) SingleNest for the last three months and I must say I am really impressed. The hammock is constructed very well and the carabiners appear to be of better quality than the other hammocks we have seen and used. 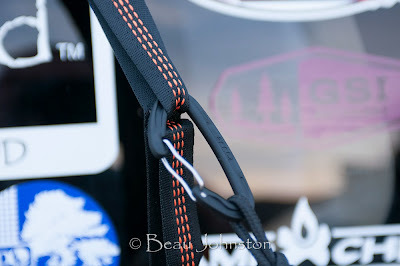 Unlike the other hammock we reviewed, the SingleNest does not come with a suspension system. 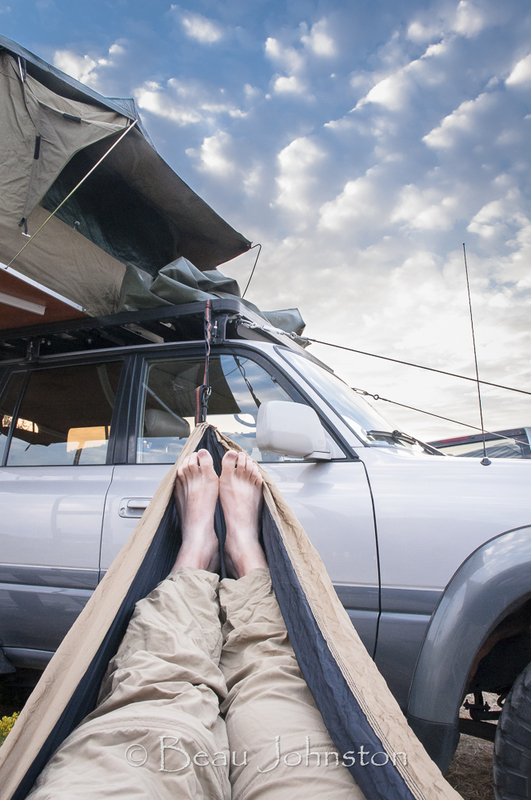 You must buy an additional strap from ENO, which start at $19.95 for a pair, to attach the hammock to trees or your vehicle. I don't find this to be a deal breaker though. I feel the quality offered by the SingleNest outweighs the lack of a suspension system and an inexpensive rope can stand in for ENO's suspension straps. Overall I am really impressed with the SingleNest's fit and finish. Eagles Nest Outfitters uses quality carabiners and nylon to produce a great hammock. While I wish ENO would offer a less-expensive alternative suspension system, say two lengths of rope like the competition, I would recommend the SingleNest to anyone looking for a quality hammock for the camping trips. We will be ditching our tent for a pair of SingleNests on our future warm-weather trips. Not only will we be sleeping more comfortably, we will be taking up less room with gear! 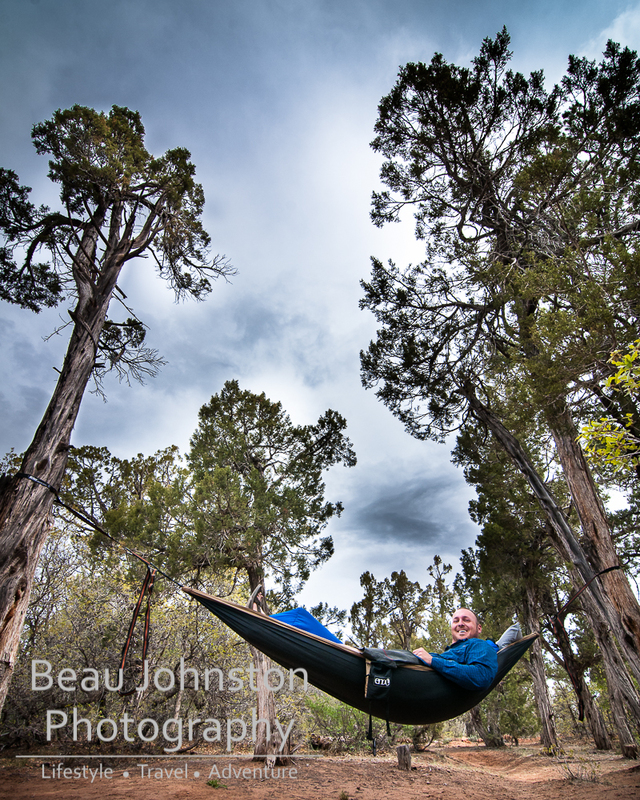 I recently returned from a six-day trip across Southern Utah where I spent every night sleeping in my SingleNest hammock. I slept great and best of all I could setup my hammock and sleeping bag faster than the others in the group could set up their tents. I really am sold on hammock camping and, as long as the temperatures don't dip too low, I will be sleeping in my SingleNest. I even woke up to find frost on my sleeping bag one of the mornings, but stayed warm with my sleeping pad and bag. Disclosure of Material Connection: I received the SingleNest for free from Eagles Nest Outfitters.